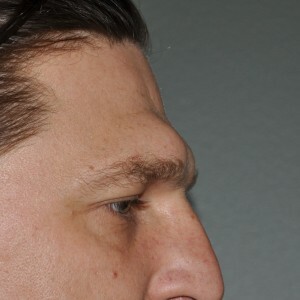 Large or prominent brow bones are a direct result of the development of the underlying frontal sinus air cavity. Thus they are not just very thick bones and this plays a major factor in what type of brow bone reduction surgery may be most beneficial. Minor amounts of brow bone reduction can be done by burring but this only results in a few millimeters of reduction for most patients. 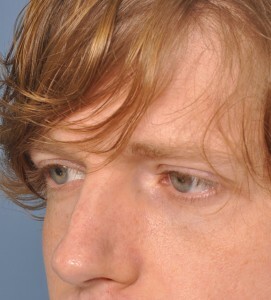 Significant brow bone reduction in men and in transgender females requires an osteoplastic bone flap technique done through a scalp incision. The anterior wall of the frontal sinus is removed, reshaped and then replaced, creating a brow bone setback effect. 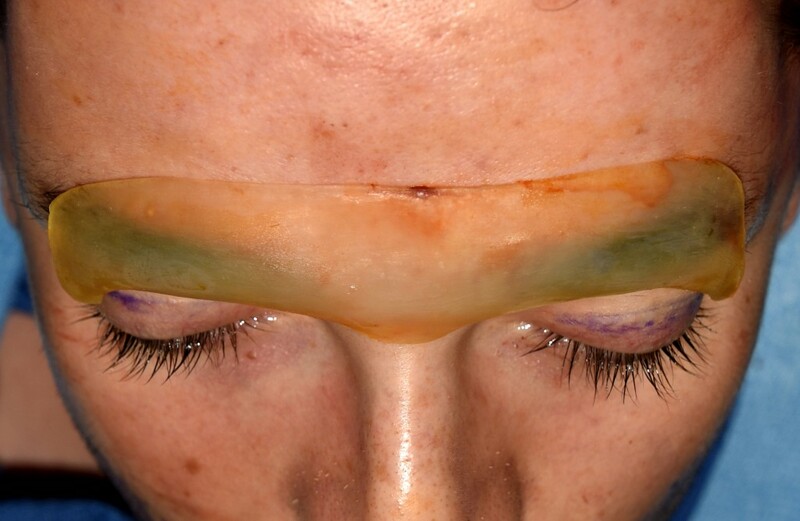 Tail of the brow bone reductions can also be done either as part of an overall brow bone reduction surgery from above or by itself from below with an upper eyelid (transpalpebral) incisional approach. Because there is no frontal sinus air cavity in the lateral brow area, burring reduction is both very effective and safe. Building up the brow bones can be done using a variety of onlay techniques and synthetic materials. 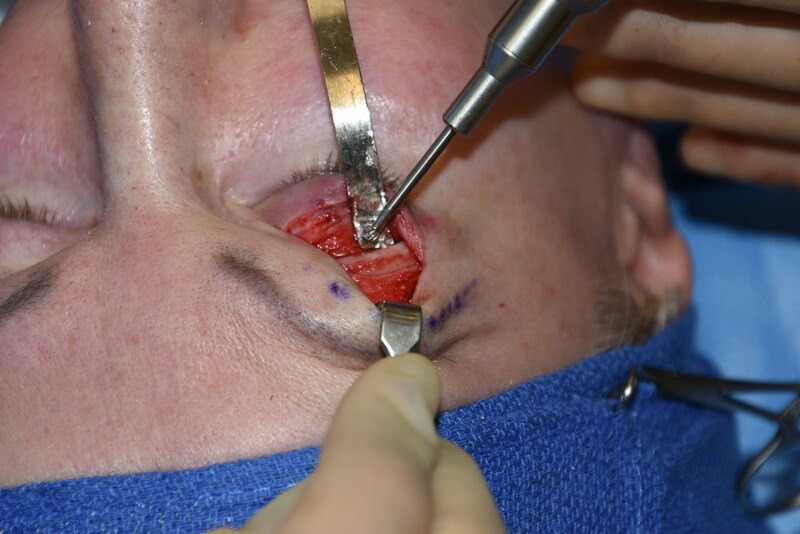 The type of material determines what incision approach is used and can be defined as either a full open exposure (scalp or coronal incision), partial open (mid forehead incision) and a more limited incision endoscopic placement method. The use of bone cements materials, such as polymethylmethacrylate (PMMA) and hydroxyapatite (HA) cements require a longer scalp incision to be able to properly apply and shape these materials. HA is the most biocompatible of the synthetic bone cements but its cost often precludes it is used in aesthetic forehead surgery. 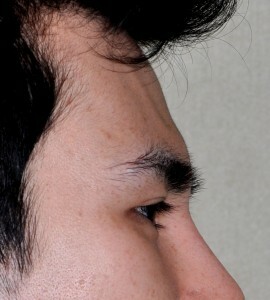 Their preformed computer designed shape allows for good symmetry and control of brow bone augmentation amounts. 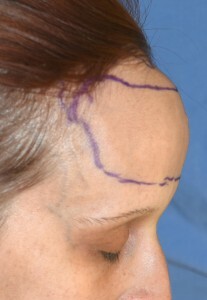 Changing the slope, convexity or angulation of the forehead can be done by two basic techniques, the application of PMMA bone cements or the placement of a custom forehead implant. Both require scalp incisions to do so but with different incisional lengths. 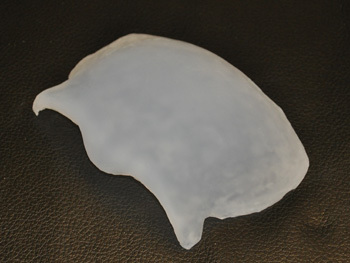 PMMA is the bone cement of choice for forehead augmentation given the volume of material needed. 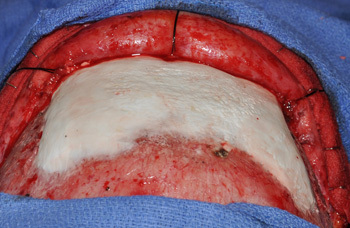 (Usually 60 to 90 grams) To properly shape it an almost full coronal incision is needed. It is important to keep the cement material between the anterior temporal lines and off the temporal muscle/fascia to the sides of the forehead. Forehead reduction can be done to achieve two different aesthetic objectives. Bone reduction can be done to reduce an exaggerated forehead convexity. A hairline or scalp advancement can be done to reduce a long vertical forehead due to a high hairline through forehead skin removal. While often done separately they can be combined for a complete hard and soft tissue forehead reduction procedure. A bulging or overly prominent forehead (too much convexity) can be reduced to some degree. 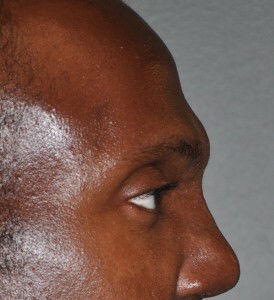 The extent of the bony reduction is limited by the thickness of the frontal bone. A preoperative CT scan can determine how much reduction can be safely achieved. In most patients this bony reduction can be anywhere from 5 to 7mms which can create a reduction that is more substantial than that number alone may suggest. 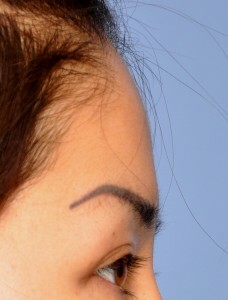 A vertically long forehead is often one that exceeds a distance of 6 to 7cms between the eyebrows and the frontal hairline. 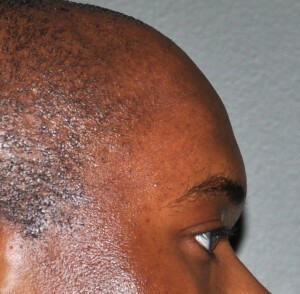 There is too much forehead skin and a high or recessed hairline is present. Through a hairline or pretrichial incision the scalp is undermined and loosened to the back of the head. This allows it to be brought forward and excess forehead skin removed, shortening the vertical height of the forehead. As a one stage procedure the amount of vertical forehead reduction can be 1 to 2 cms in the center. Greater amounts of vertical forehead reduction can be done but this requires a first stage scalp tissue expansion. 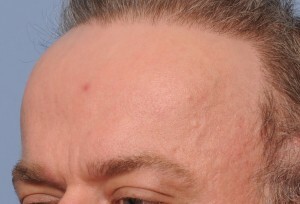 A unique type of localized aesthetic forehead anomaly is that known as forehead horns. Often appearing as a set of paired raised bony prominences in the upper forehead, they can stick out like a pair of ‘horns’. Their cause is not known but are often well visualized in certain lighting. Forehead horn reduction is done by burring of the bone but the wide base of the bony prominence makes it best done through a direct overlying incision or a longer pretrichial incision. The osteoma of the forehead is well recognized bony growth that has a distinct structure. It has a narrower base where it attaches to the skull and a wider bony width above it. Because of its narrow base it can usually be easily removed with an osteotome separation from its skull attachment. 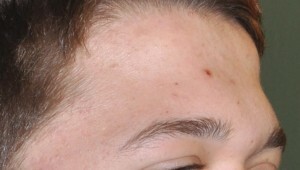 Lipomas of the forehead are located above the bone surface in the subcutaneous plane above the galea. They are well encapsulated which permits a clean extraction from the surrounding tissues. Both forehead osteomas and lipomas can be removed through either an endoscopic approach or a limited hairline incision.